Donald Clark Plan B: The Big Debate – Berlin Educa - ban diplomas and degrees! The Big Debate – Berlin Educa - ban diplomas and degrees! ‘This house proposes a ban on diplomas and degrees’ –sounds extreme, and since I was arguing FOR the motion to a large audience,who make their living from teaching, designing an delivering diplomas and degrees, I woke up the night before with the thought that I’d be lucky to get any votes at all! Here’s what happened. It was two against two. Jef Staes and I against Sue Martin and Kirstie Donnelly. Jef Staes (my partner) argued, using a brilliant set of posters, which he got members of the audience to reveal one by one (including Jay Cross), that we had become sheep; parents, pupils, teachers, lecturers, politicians - all marching our kids through a process that doesn’t deliver. We have 2D teaching and 2D testing that leads towards 2D thinking and 2D people who live and work in a 3D world. Where’s the passion? Where’s the real competences? It was witty and delivered with his characteristic flair. I went for the 7 fails I’d give the system if I were awarding it a qualification. 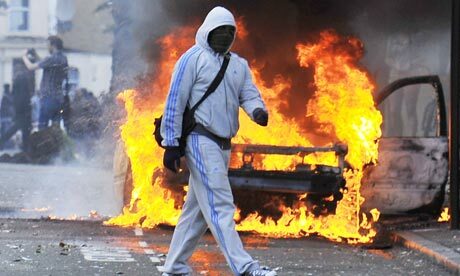 The London riots by disenfranchised youth, riots in Greece with 55% youth unemployment, riots in Spain with 53% unemployment, the same in Portugal, now Italy with 35% youth unemployment. Meanwhile the graduates financiers, bankers and politicians who caused this mess remain untouched and immune. Inequalities and hardship are rising. Education, in its current form has failed. Similarly in the Arab world, where the Arab Spring was led by young people suffering from unemployment in the face of nepotism and corruption. This is a serious issue, not just a debating point. The massive increase in investment in education and testing has led to this position. We don’t have a qualifications shortage, we have a skills shortage. This slide tells you everything you need to know about the failure in assessment. First, the obsession with maths. Who really does need to know algebra and Pythagoras Theorem? I’m 56 years old and never once had to use it, except I the context of my kids’ homework. 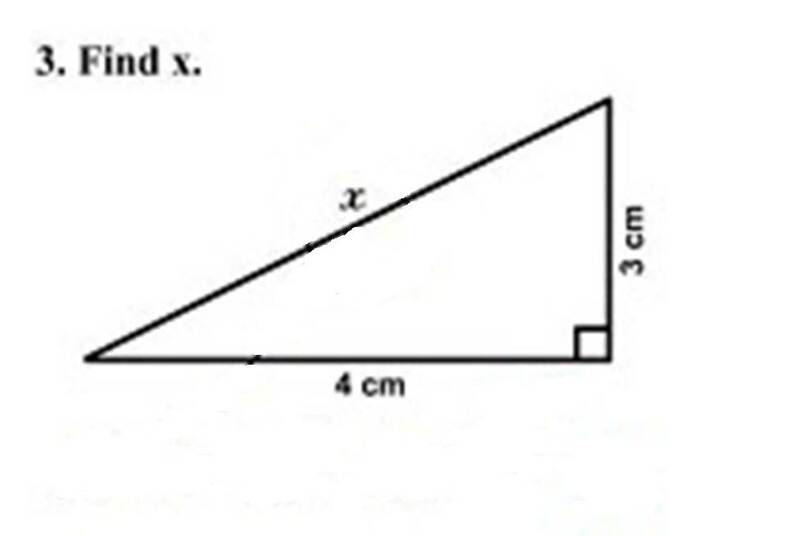 Secondly, the question can be answered in many ways, by guessing, drawing it to scale, knowing the 3/4/5 triangle rule and lastly, the most awkward solution, Pythagoras Theorem. This slide tells you everything you need to know about the alternative. The kid who answered is exactly the sort of person I and most employers admire and would want to hire. He or she is way smart, innovative, a touch of humour, lateral thinking, good communicator and a REAL problem solver. It’s borderline genius. Yet look at the teachers ‘red’ mark. RED pen, which has its origins in the deficit side of a ledger. No marks. Marking is a plague in education. It has replaced meaningful, formative feedback and acts as an end point – failure for most and even for those who get good scores a sign that they’ve achieved competence, even though they scored only 80%. What abut the other 20%? What’s more, testing abstract knowledge completely ignores what we’ve known about for centuries in the psychology of learning, that we learn by doing and that many competences need to be tested by showing that you can DO something. Essays test an extremely narrow skillset. In any case, as we still expect pupils and students t sit exams using pen and paper, they test almost nothing but memory. No one writes first drafts that are any good. The essence of good writing is redraft in, reordering, shortening, changing words – so let them use word processors. When you don’t they MEMORISE essays. Whole countries are now being assessed and seeing themselves as having failed. This deficit view of education has been caused by the leaning tower of PISA, with its obsession with maths and infected politicians with assessments. Test them till they bleed! We know that it’s now all about teaching to the test. Around the world we’re tutoring our kids into submission, turning them OFF subjects and ON to learning how to simply pass exams. Memorisation, cramming, even drugs to get you those pieces of paper. Go to Hong Kong and see the hideous posters on hoardings and buses for celebrity tutors and read about the kids who are being tutored until the early hours of the morning and falling asleep on their desks at school. Entire families are subjecting themselves to stress leading to anger and conflict because of the paper pressure. Parents against children, parents against teachers, students against teachers. No one is winning here, except the very few who get the most paper, then go onto screw the rest of us over. The system is distorting learning, teaching and life itself. Life is NOT a course! We all leave school and never go near qualifications again. Most learning is informal and even formal learning (training) in organisations is rarely accredited. I spent most of my adult life delivering online learning and almost nothing was accredited. Adults need to be trusted not subjected to primitive testing (usually of short-term memory – read Ebbinghaus). When I was a Trustee at Learndirect I saw how we could get people back learning through good online work on numeracy and literacy but many would fail to turn up for the physical assessments in colleges, as those places were associated with their past failure. Governments have become obsessed with testing as they think it shows progress – it doesn’t, it shows that we teach to the test. Finally I pointed out that Sue, my first opponent, was the Global Certification Director for SAP. She is in the BUSINESS of SELLING certification that locks people into her company software. Kirtsie works for City & Guilds, the UKs largest certification body in vocational learning. To be honest I have some sympathy with Kirtsie, as I’m on the Council of that organisation (unpaid) and feel that vocational learning has been screwed over by excessive University funding. That’s what’s got us into this mess. My final act was to ask the audience of they knew who the Platinum Sponsor for the conference was? Answer – PEARSON – I rested my case! We won by a comfortable margin. These debates really enliven conferences and, I think, make people think and reflect beyond the normal presentation format. The audience participation was fantastic and the whole event felt like something really different and worthwhile. Every conference organiser should take note. Forget the endless presentations, landfill black bags. Push those boundaries with real discussion and debate. Sue, Kirstie, Jef and I are still al good friends and thanks to the audience for such great contributions. It was a huge amount of fun. This sounds like a tremendous amount of fun coupled with a dose of 'real worldliness' for good measure. I'll admit to having stood on the sidelines of the whole 'education' issue for the past few years, but with a 4 y/o son in a reception class and an ever increasing opinion that businesses are trying to replicate education sector practices within their approach to L&D related activities (I was recently lectured to by a Project Mananger that an impending new product launch should be appraised in the same way as a University lecture) has a started to generate an increasing awareness to education sector issues - so thank you for such a vivid insight into the session you participated in and your argument points. As for the format itself, I'd love to be involved in such a format in future conferences, who's up for it.......? What your arguments really show is that the existence of diplomas can subvert education. Working for a specific qualification can help people to structure their thinking and to give them recognition for their achievements. These are positive outcomes. Why lose them? Educators need to be bolder about using open-ended outcomes and assessing processes. That IS difficult with essay-style exams (unless the process being tested is how to write an essay under pressure) but isn't difficult with many other forms of assessment. In the example you provided, maybe you've never used it, but you may be glad that engineers can use geometry every time that you get into a lift, plane, high-rise building...and don't say that you never wanted to be an engineer. How did you make that decision? You were exposed to some of the basics and you made an informed choice. Others made different choices, and went on to study the more advanced geometry needed for that kind of work. Hi Donald - fantastic piece, much in line with my own "Manifesto for Change in Education". Let's change this - and create a massive movement of awareness together!! Thanks for your comments. It is true that a qualification can give s structured learning experience but in contemporary HE that's a long, lingering 3/4 years with little meaningful contact, lots of dull lectures and little feedback. As you say, the long-form essay is mostly hopeless as a method of assessment. My point about the maths example is not that engineers don't need maths - they clearly do, it was that the vast majority of other people do NOT need this type of maths - they need functional numeracy. Why do lecturers do not really feel the need for a detailed knowledge of the psychology of learning. That's like saying engineers don't need maths and physics. I was in the audience for the debate & thought it was really thought provoking as well as entertaining. I was really struck by Jef's suggestion of a Skills/Talent PLaylist as an alternative to Diplomas and Degrees. This seemed to me to offer a much more flexible and adaptable solution to the certification of learning and allowed the Playlist holder to change direction more readily than our current systems do. It would also allow for the addition and subtraction of smaller "chunks" of learning over time and wouldn't necessitate the huge investment of time and finance required by existing systems - which, to be honest, are not designed to support lifelong learning. I still think there's a place for the accreditation/certification of learning in the global labour market, but I think that the means of achieving this need t obe modernised in parallel with how people learn. At the moment, I think we have attempts to develop 21st Century approaches to learning and development shackled to 19th Century assessment systems. This needs to change: they simply are not fir for purpose, nor do the match the reality in which our learners are trying to/expected to app;y what they have learned. I have followed your progress over a number of years and really learned from you and the others at internet time alliance. I recently took on a post at a higher education institute. I tried to introduce some informal learning techniques and stressed the need to be able to link what the students were learning to the wider world rather than only focus on exams or assessments. They were shocked that I used this approach. I feel the greatest resistance will come from the students who have learned how to work within the system, pass exams and get the coveted degree etc.